A few weeks ago, my son turned 2-years-0ld. Since he isn’t a fan of birthday cake, but does adore donuts, I decided the best thing to make him on his special day was a cake made entirely of donuts. 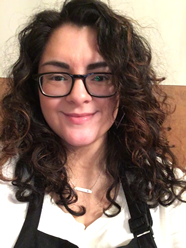 I knew I wanted to make him donuts, so the week before the big day, I began searching for the perfect recipe. 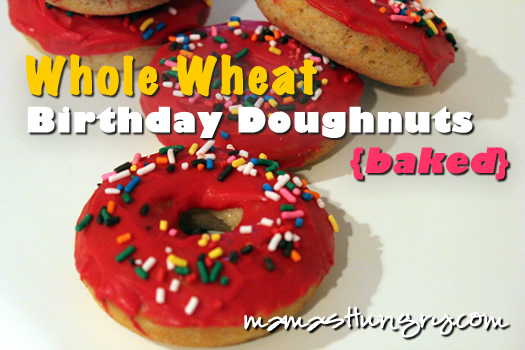 I found a great recipe for whole wheat donuts, but I didn’t think my boy would like them with powdered sugar or nuts. It’s weird I know, but he has this strange thing where he doesn’t like getting his hands dirty when he eats. Powdered sugar all over his little hands? That was not going to happen. I decided to take that recipe and tweak it to suit the tastes of my miniature foodie. Instead of covering them in powdered sugar, I coated them with red melting candy and sprinkles. The verdict? He loved them and ate every last one over the course of his long birthday weekend. I hope you try them and love them as much as we did. Enjoy! 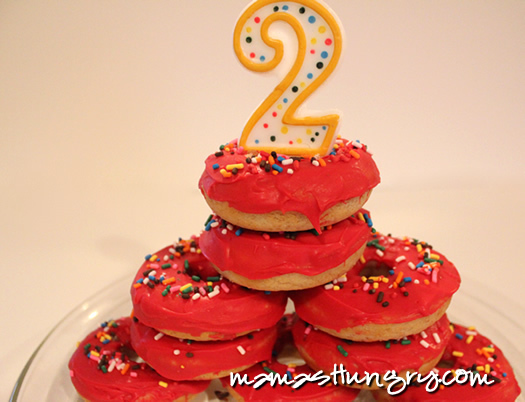 These donuts are delish and perfect for any child's birthday party! Whisk flour, sugar, baking powder, baking soda, salt, nutmeg together in a medium mixing bowl. Whisk yogurt, milk, egg, oil and flavorings together in a separate small bowl. Combine all at once with dry ingredients and stir only until everything is moistened. Spoon batter into pastry bag or quart-size zippered plastic bag. Seal. Snip small corner of plastic bag and force dough out of hole in a fat rope that encircles each doughnut cup. Fill only ½ to ¾ full or you will lose the hole in the middle of your doughnut. Makes 12 donuts and possibly 3-4 “donut holes” in a mini cupcake pan. Bake for 9-10 minutes. If coating with candy: Melt the candy and gently dip each donut and place on a wire rack. Top with the sprinkles while the candy coating is still wet, or they won't stick to the donut. Enjoy! Looks like I need to find a donut pan! Jackie recently posted..Wordful Wednesday ~ Bit by the theatre bug! YES! I got mine on Amazon for $10!